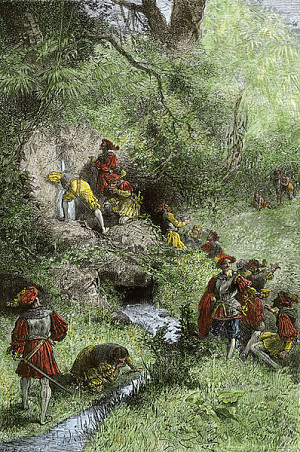 This article is part of the Science in Sci-fi, Fact in Fantasy blog series. Each week, we tackle one of the scientific or technological concepts pervasive in sci-fi (space travel, genetic engineering, artificial intelligence, etc.) with input from an expert. Please join the mailing list to be notified every time new content is posted. Philip A. Kramer has a doctorate in Biomedical Science, and researches the effect of age and exercise on muscle, metabolism, and memory in humans. His short fiction and nonfiction have been published by Baen Books. His chapter on enclosed ecosystems and life support appears in Putting the Science in Fiction. He has three as-of-yet unpublished novels and writes and reviews regularly on his writing and science blog where he also advocates for accurate science in science fiction. You should follow him on Twitter. All things age. For non-biological objects, it is a matter of entropy and oxidation (see “Aging Properties” by Gwen C. Katz in Putting the Science in Fiction). While life is not immune to these effects, it has the ability to replenish itself, repair damage, and theoretically exist indefinitely. So why don’t we live forever? This article will explore the science of biological aging and debunk some of its misconceptions in fiction. “So-and-so died from old age.” We’ve all said it or heard it before. But can age really kill you? Ultimately, aging does not kill you, but makes you more vulnerable to other things that will. As time goes on, our physiological integrity weakens and cells no longer act like they should. Muscles weaken, metabolism slows, and we all become a bit more sedentary, leaving us at risk for accidents, diabetes, metabolic syndrome, and coronary artery disease. Similarly, DNA repair slackens and increases the risk of cancer, the immune system becomes erratic and can lead to autoimmune diseases, and the brain loses it edge and degenerates. All together, the chance that something will kill you every year is over 1000x more likely in the elderly than in children. For the most part, the incidence of all of these causes of death increases with age. In other words, age is never the cause of death, but age-related diseases are. Similarly, “death by natural causes” is commonly used to describe the death of an elderly individual, since these causes are common enough to be considered natural. There persists a notion that life is some ethereal force that courses through us, able to be sucked away by the first succubus/incubus that lures us in. Aging, therefore, would be the waning of such a life-force. As far as we know, there is no ethereal energy that perfuses all life and makes it work. In fact, life can be manufactured by going online, copying the genetic sequence of a simple organism, synthesizing the DNA in a machine, and injecting it into an empty husk of a cell. This artificial “life” will then proceed to live on its own as shown by an experiment performed in 2010 by Craig Venter. All life has a few things in common, though there are exceptions to the rule. The standard definition of life is an entity that can grow, reproduce, undergo metabolic processes, and sense and interact with the environment. From this definition, metabolism is about the only thing that can be considered a life-force that can be given or taken away. 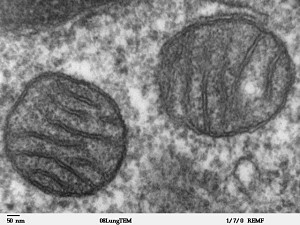 There is some truth to the concept though, as mitochondria, the energy producing organelles in most of our cells, do lose some of their efficiency as we age, and are implicated in many age-related diseases. Similarly, there do appear to be factors circulating through our body that affect how we age, and these can even be transferred from one person to another. Parabiosis is an experiment wherein two animals are surgically connected, allowing them to share blood. The older of the two animals will show signs of improved cognitive performance, muscle development, heart health, cellular regeneration, and properties that typically deteriorate with age. The circulating factors thought to mediate this effect are certain inflammatory molecules (cytokines), small packets of intracellular materials (exosomes), some mitochondrial proteins, and many others. Interestingly, some of these are the same factors that promote systemic health following exercise. So unless you plan to surgically attach yourself to your much younger friend, or are currently a succubus/incubus, exercise truly is the best medicine. 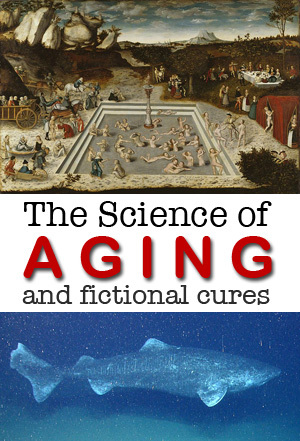 Fiction often portrays the cure of aging as an easy fix, often restoring youthful vitality and vigor over the course of just a few minutes. Such an elixir smooths wrinkled skin, increases muscle mass, darkens silver-white hair, and eliminates all ailments associated with age. If only it were that simple. Many researchers agree that aging is the result of mutations and other damage that accumulate over time, causing cancer, affecting metabolism, protein turnover, the immune system, the endocrine system, etc. A cure to aging would need to reverse all of this damage. Among other things, this would require replacing the lost connective tissue in the skin and removing it from areas where it has been produced in excess, like the muscle. It would need to revive cells that have already died, and kill cells like cancer. Additionally, the cure would need to remove lipid plaques from the vasculature, amyloid plaques from the brain, and fix every type of damage down to individual proteins and DNA mutation. And by most depictions, all of this would occur over the course of a few seconds to minutes. While this may look visually impressive, it would be impossible. The changes that occur with age are just too numerous and widespread to be reversed. Even some fictional remedies, like small nanomachines, would have to constantly change shape, be physically capable of reaching every crevasse of every protein and condensed DNA strand, retain the information of what to fix and how, and somehow produce and store enough energy to complete the task. Even if a nanomachine could somehow do all of these things, fixing the accumulated damage would not be instantaneous, nor would it be visually apparent for at least a day or two. Similarly, gene editing never shows immediate effects, whether by taking years off your appearance or, if so designed, transforming you into a werewolf. Fortunately, there are some drugs and lifestyle changes being explored that have been shown to increase lifespan in mice and other mammals, though the effect is relatively mild. Some of these longevity enhancers have negative side effects, however, like testicular atrophy in the case of Rapamycin. Similarly, caloric restriction doesn’t sound like something I would do voluntarily. Even taking such measures, an indefinite extension of our lifespan may not be possible without something to extend our telomeres, the condensed DNA at the end of our chromosomes that gets shorter with each cell division. Of course, your fictional characters might choose to skip over the cure, and abandon their aging bodies all together for something far more durable. They have merged them, body and mind, with machines. For more info, see Edward Ashton’s post on immortality in science fiction. Since reversing aging seems unlikely, the only other option would be to make your character ageless, resistant to the wear and tear of time. However, like wizards and elves, the ageless being is completely fictional. The most common source of damage within the cell is the act of living itself. While metabolizing our food and consuming the oxygen we breathe, the mitochondria occasionally produces a small amount of oxidants, which then oxidize proteins, DNA, and lipids. DNA polymerase, which is responsible for copying our DNA during cell division, can slip or make a base-pair mismatch. Our immune system, which functions primarily to rid us of invading micro-organisms, can get overzealous and damage other cells caught in the crossfire. Also, let’s not forget that life is just complex chemistry, and sometimes damaging chemical reactions will occur at a low frequency that are impossible to prevent, like the hydrolysis of DNA. Another major cause of the accumulating damage is the environment. Background radiation, toxins from our food or water, and the aforementioned microorganisms can interfere with all manner of biological processes and inflict direct damage. Eventually DNA damage accumulates, leading to cellular dysfunction, and ultimately death. To be ageless, one would have to resist all of this damage. Not all beings are created equal, however, and many creatures that have found a way to subvert the effect of time. Take the “immortal jellyfish” for example. It is said to live indefinitely by reverting back to an immature polyp state. Unfortunately, humans are quite a bit more complex than a jellyfish. Such a state of immortality would be like taking the DNA from one of your cells and cloning yourself. Your clone would have none of your memories and be a distinct organism. 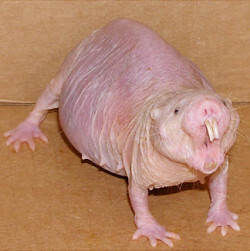 Another creature, the naked mole rat, has extraordinary DNA repair capabilities and connective tissue factors. It looks nearly identical at year one as it does at the impressive 30 years old. Which is to say, it looks rather hideous all its life. The Icelandic clam, the Greenland shark, and some other sea-dwellers have been known to live as long as 500 years, partly due to its resistance to oxidative damage. Somehow, I don’t think their natural environments would be compatible for humanity. Still we can learn a lot from them, just like we can learn from diseases of accelerated aging (i.e. Progeroid), like Werner syndrome and Hutchinson–Gilford syndrome. If a means to become ageless is developed during your lifetime, chances are you won’t be able to use it. Your children, however, might be more fortunate. The most likely method will be to modify our progeny’s’ genetic code to enhance cellular repair, telomerase activity, antioxidant enzymes, and other processes shown to prolong life in animal models. Only then would human biology have a chance at resisting the ravages of time. Life is complex; so many parts need to come together to keep it functioning, and if one thing falters, so does life end. Gerontology is the study of how those complicated parts of life fail over time. The Somatic DNA damage theory of aging alluded to in this article is just one theory of many. Other theories include antagonistic pleiotropy (i.e. that which makes us strong early in life, makes us weak later), disposable soma theory (i.e. Best allocation of resources), the replicative senescence theory (i.e. telomere shortening), rate of living theory, other damage accumulation theories, as well as some theories proposing we are programmed to age and die, often for the “overall prosperity of society.” There are still numerous theories of aging which haven’t been conclusively proven or disproven, and until we know the real cause, finding the cure will be all the more difficult. “If there is one thing a Gerontologists understands, it is complexity,” said Dr. William Hazzard, a renowned gerontologists, at a 2018 aging symposium named in his honor. And while there is currently no cure for aging, there are things we can do in the meantime to slow it down. Dr. Hazzard asserts that the best medicine is to keep moving, to keep learning, and above all, “embrace the totality of the experience.” Since it came from an 81-year-old academic who took the three stairs to the podium in one leaping bound, that’s advice I’m inclined to follow.